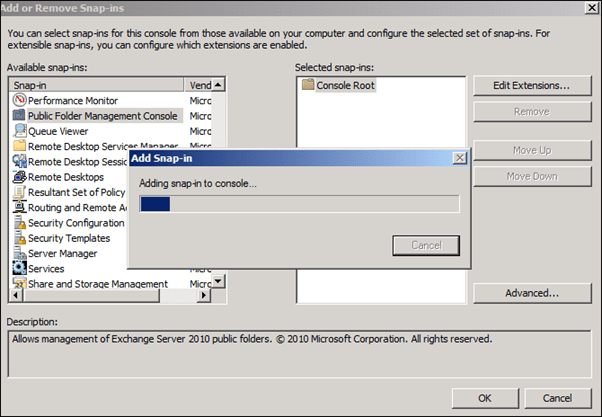 Answer: To configure public folders hosted on Exchange Server 2010 we need to use the public folders management console snap-in and Outlook client. 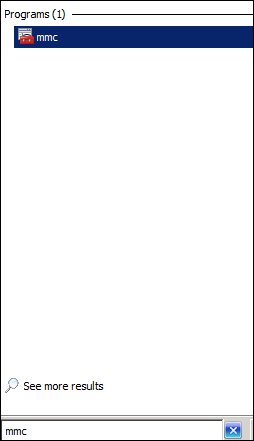 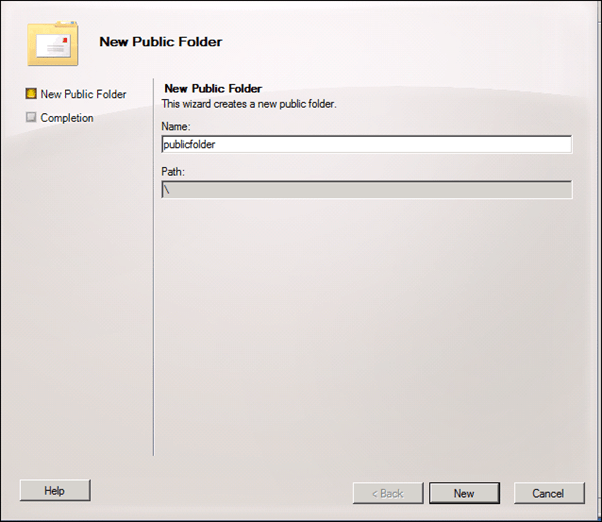 Note: To create a Public Folder Database see the this article. 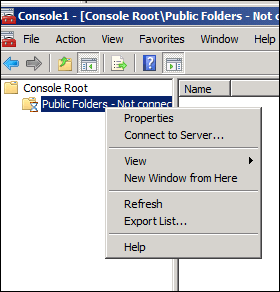 Once Opened Right Click on the Public folders Icon in the MMC and Click on Connect to Server. 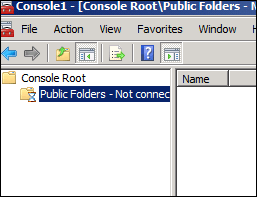 Select the server that hosts the Public Folder database we created in the last article. 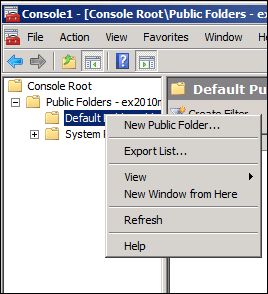 After you open it Right Click on the Default Public Folder and Click on New Public Folder. 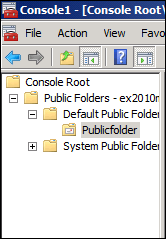 Give the Public Folder a name and click new. 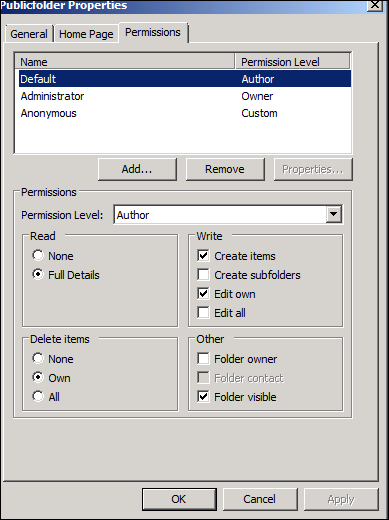 To configure Permission on the new Public Folder Open Outlook and Go to the New Public folder -> Right Click on it and Select Properties. 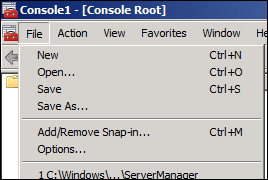 Go to the Permission tab and configure the Permission.